While rumors have been swirling for much of the day on Wednesday, the story about whether or not the storied camera store chain CalumetPhoto has filed for bankruptcy have come true. 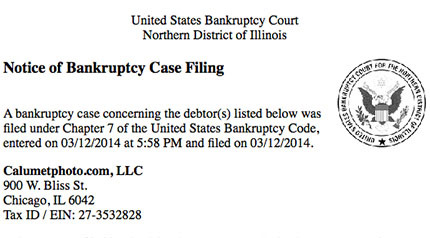 Calumetphoto.com LLC has voluntarily filed for Chapter 7 bankruptcy, listed as case #14-08908 in the Northern District of Illinois United States Bankruptcy Court. The filing is dated March 12, 2014 and the first meeting is scheduled on April 22, 2014. 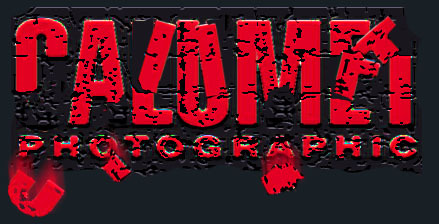 CalumetPhoto, in recent months, has been pulling back from their participation in activities they have, in the past, normally sponsored or been involved in, and there have been grumblings amongst store management as well as serious concerns raised by some equipment manufacturing representatives and vendors as well. While many companies file for Chapter 11 bankruptcy in order to reorganize, sources tell Photo Business News that while CalumetPhoto tried this route, ultimately they found themselves in Chapter 7 bankruptcy, which is the phase companies end up in when Chapter 11 does not work, and the company has to liquidate. CalumetPhoto, founded in 1939 grew to almost 3 dozen stores nationwide, and, in recent years, most notably acquired the Penn Camera camera stores in 2012 in the Washington DC region after they had gone into Chapter 11 bankruptcy. After shedding 5 of the 8 locations, the remaining 3 were intended to continue to fulfill the various government contracts that Penn Camera had acquired over the years, as a hopeful source of ongoing revenue for the beleaguered company. All CalumetPhoto stores in the United States are closed, and classes have been cancelled and their @calumetphoto twitter account is now non-existent, yet there were posts on their Facebook account up until mid-day Wednesday. 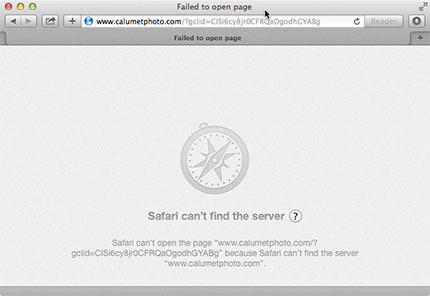 The overseas CalumetPhoto stores in the EU remain operational. According to Seng Ng, the Director of Finance for CalumetPhoto U.K., when asked how this will affect the UK store, responded "not at all" continuing "we share the same name but are two distinct entities." Their website remains operational and stores there are open. Reports from current and former employees and individual store management have reportedly been detailing the trials and tribulations of their times at CalumetPhoto and the state of the company has reportedly not been well. The PDF of the court filing can be viewed here, as a PDF. Getty Images, a Carlysle Group (NASDAQ: CG) company, today, announced a "notice to terminate" their relationship with Flickr as a source of images. What was launched in March of 2009, when Getty's editors were characterized by Flickr as "...inspired by the quality and creativity of our members...." (Building the Flickr Collection on Getty Images, 1/21/09) has now ended. The parallel between the launch of the largest ship in the world, and it's eventual sinking because of poor stewardship is similar to Getty and Flickr, where arrogant captains in both settings think they know what they are doing. 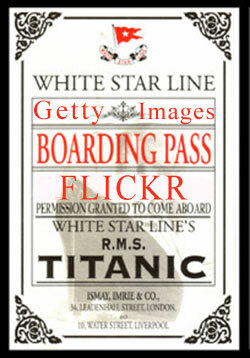 Getty, arguably the largest stock operation in the world, as the Titanic, ran into the immovable object that is the iceberg in the form of Flickr. Now as the executives of Getty stand amidst the musicians entertaining the unknowing on the aft decks, the ship is taking on water. It's only a matter of time before she breaks apart and sinks to unfathomable depths. Of course the agreement didn't end before Getty sifted through, what they characterize as their having "...assessed over 90 million images, selecting 900,000 from 42,000 contributors as part of our Flickr collection." Interestingly enough, using the $0.15 per image valuation factor Getty is said to use to value their collection, that's only a valuation of $135,000 over the course of 5 years. I am sure that they paid editors more than that to cull through all the images, so I'd count that as a bad business decision. Given they have two years to make up enough money to generate the $1,200,000,000 for their 2016 loan, the Flickr deal seems to have generated content that is a few zero's short of solving their problem. Consider that they had an existing pool of 9,000,000 images, which was a massive library of content for them to consider, and they still were only able to select 900,000 images. With that pool of images exhausted, and the relationship now terminated, they now have to look at the normal ingestion rates of images into their systems, and there does not seem to be any mathematical way that they can bring in enough images to satisfy the $1.2B loan that is coming due. What's amazing is that, if you consider that they looked at 90,000,000 images, and they only came up 900,000, that's only a 1% success rate for a salable image from Flickr. Compare this to their stated production levels at the 2014 Sochi Winter Olympic Games - "our photographers captured 1,004,849 images, of which 52,362 were distributed to the world..." and you get a 5.2% ratio. Now, to be fair, I'm sure Getty wanted to report a figure higher than a million, so they likely counted the many times a photographer producing 12-14 frames per second used their camera's maximum capture speeds, so it's reasonable to consider that a 2 second burst producing 25 images would only produce 1-2 selects of the best image, however, they're boasting the numbers, so when you celebrate by the numbers you are subject to criticism by those same numbers. We here at Photo Business News, in 2008 reported, in The Curious Case of Getty and Flickr (7/11/08) about much of the problems that the Getty deal with Flickr was for photographers. With Getty last week having culled through what they believe to be all the salable/valuable images, announcing their image embedding feature ( Monetizing Getty's 35M Image Archive via FREE Editorial Uses, 3/7/14) put them in competition with Flickr, which has a slideshow/embedding feature since 2007. Getty Images and Flickr have worked together for five great years, celebrating the originality of photography enthusiasts worldwide. Getty Images curators have assessed over 90 million images, selecting 900,000 from 42,000 contributors as part of our Flickr collection. Getty Images has provided notice to terminate our existing agreement with Flickr. Our original agreement reached its end, and while we continue to be open to working with Yahoo!/Flickr, we do not have a new agreement at this time. We will continue to work with the tens of thousands of contributors and license the existing content. Innovation and evolution are at the core of our work at Getty Images and we are continuously developing new technologies and tools to enhance our crowd-sourced imagery for our contributors and customers. We recently launched Getty Images Moment, our new iPhone app designed for contributors, as well as global content partnerships with EyeEm and Samsung. We look forward to announcing further developments in the coming months. Watch this space. These developments are not surprising, however, they do indicate a continued flailing about as the Getty leadership team, who clearly not only don't get it but are also playing catchup in many other areas where they are behind. It's only a matter of time before Carlysle's investment turns out to be as ill-fated as the Titanic. Strike up the band for one more melody. Don't bother watching the crew scurry about for the lifeboats. Don't say you weren't warned. The United States Copyright Office brought together stakeholders from across the spectrum of intellectual property producers and consumers to discuss various ways to approach the issue of orphaned works during two days of roundtable discussions Monday March 10th and Tuesday March 11th, 2014, held at the Library of Congress in Washington DC. 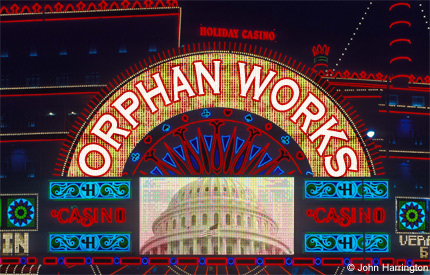 Almost six years ago, we here at Photo Business News wrote Orphan Works Act = Thieves Charter? which delved into what the bills that were proposed to be law were espousing. We followed that up with Orphan Works - History In the Making, and we even wrote about the problems with the bills then, espousing the need for a solution to orphaned works, just not the one that was being proposed, in Orphan Works 2008 - A Wolf In Sheep's Clothing. We even produced a piece titled Orphan Works - A Unique Set of "Myths" and "Facts" in an attempt to dispel some of the myths surrounding orphan works as proposed. While the problem has not changed, the public and the stakeholders are much more engaged on the matter now, and the discourse seems to be taking a more reasoned approach. The Association of Research Libraries, for example, has changed their position from a call for orphan works legislation to an approach that utilities fair use. Here, they note "Unlike any option that will require legislative action, fair use is already the law...certain rightsholder groups are sufficiently fearful about misuse of their abandoned property that seemingly no search will be sufficiently diligent for them." One thing is clear, this time around, the provisions of the bills that we will likely see in the next iteration will be better and more clear than what was in the 2008 bills. Below are a series of images from the roundtable discussions on the subject. Over a hundred people came together to participate and listen to participate in a roundtable discussion on Orphan Works/Mass Digitization, Monday, March 10, 2014 at the Library of Congress in Washington, DC. 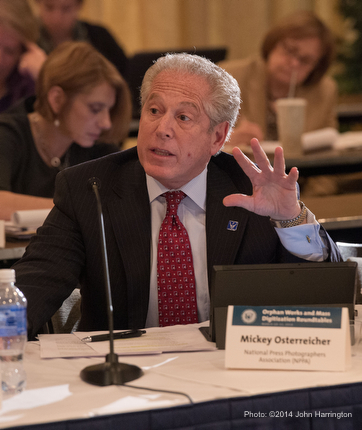 The roundtable discussion, held over the course of two days, is being held by the US Copyright Office to gather insights for future legislative solutions to orphaned works. Photo: © 2014 John Harrington. Karyn Temple Claggett Associate Register of Copyrights and Director of Policy and International Affairs listens to remarks during a roundtable discussion on Orphan Works/Mass Digitization, Monday, March 10, 2014 at the Library of Congress in Washington, DC. The roundtable discussion, held over the course of two days, is being held by the US Copyright Office to gather insights for future legislative solutions to orphaned works. Photo: © 2014 John Harrington. Eugene Mopsik, Executive Director of the American Society of Media Photographers, Left, makes remarks during a roundtable discussion on Orphan Works/Mass Digitization as Jeff Sedlik, CEO of the PLUS Coalition, right, looks on, Monday, March 10, 2014 at the Library of Congress in Washington, DC. 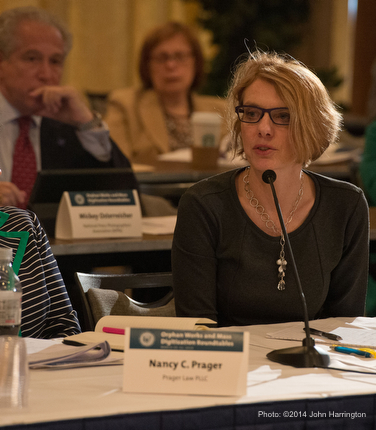 The roundtable discussion, held over the course of two days, is being held by the US Copyright Office to gather insights for future legislative solutions to orphaned works. Photo: © 2014 John Harrington. 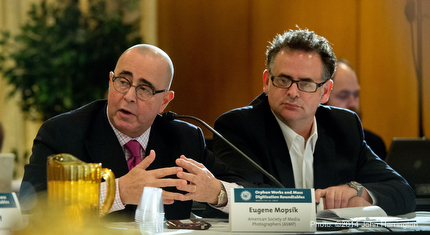 Jeff Sedlik, right, CEO of the PLUS Coalition makes remarks during a roundtable discussion on Orphan Works/Mass Digitization, Monday, March 10, 2014 at the Library of Congress in Washington, DC. The roundtable discussion, held over the course of two days, is being held by the US Copyright Office to gather insights for future legislative solutions to orphaned works. Photo: © 2014 John Harrington. 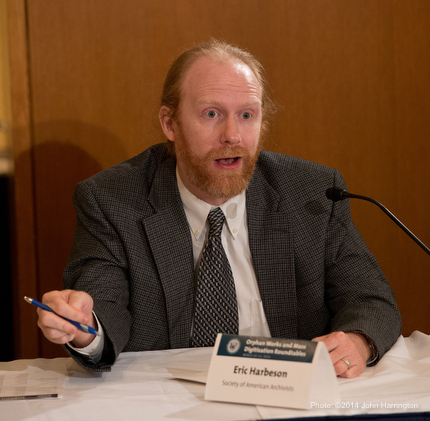 Mickey Osterricher, general counsel for the National Press Photographers Association makes remarks during a roundtable discussion on Orphan Works/Mass Digitization, Monday, March 10, 2014 at the Library of Congress in Washington, DC. 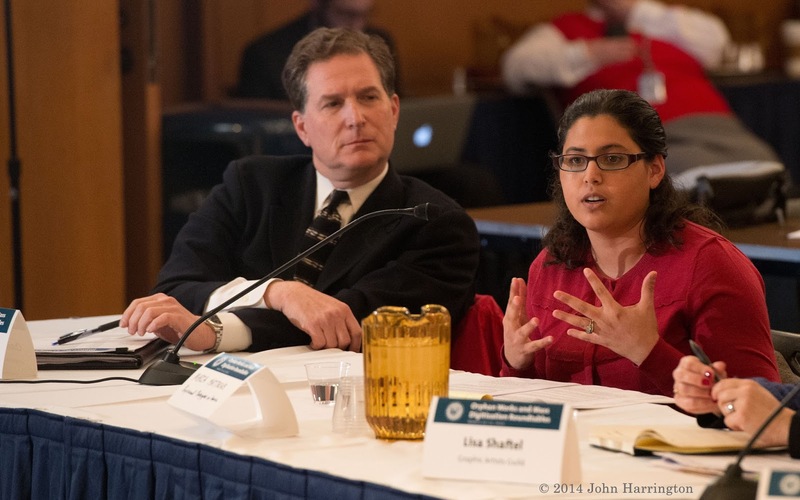 The roundtable discussion, held over the course of two days, is being held by the US Copyright Office to gather insights for future legislative solutions to orphaned works. Photo: © 2014 John Harrington. 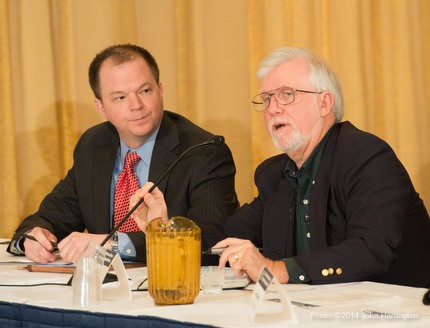 Douglas Hill, right, managing partner of Rights Assist, makes remarks during a roundtable discussion on Orphan Works/Mass Digitization as Colin Rushing, General Counsel of Sound Exchange, looks on, Monday, March 10, 2014 at the Library of Congress in Washington, DC. 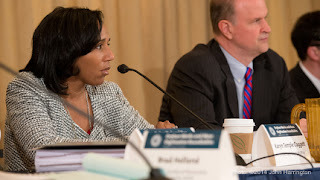 The roundtable discussion, held over the course of two days, is being held by the US Copyright Office to gather insights for future legislative solutions to orphaned works. Photo: © 2014 John Harrington. Rob Kasunic, Associate Register of Copyrights and Director of Registration Policy and Practices, U.S. Copyright Office makes remarks during a roundtable discussion on Orphan Works/Mass Digitization, Monday, March 10, 2014 at the Library of Congress in Washington, DC. 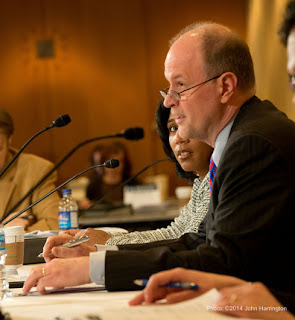 The roundtable discussion, held over the course of two days, is being held by the US Copyright Office to gather insights for future legislative solutions to orphaned works. Photo: © 2014 John Harrington. Nancy Wolff, right, counsel for the Picture Agency Council of America makes remarks during a roundtable discussion on Orphan Works/Mass Digitization as Mickey Osterricher left looks on, Monday, March 10, 2014 at the Library of Congress in Washington, DC. The roundtable discussion, held over the course of two days, is being held by the US Copyright Office to gather insights for future legislative solutions to orphaned works. Photo: © 2014 John Harrington. Eric Harbeson of the Society of American Archivists makes remarks during a roundtable discussion on Orphan Works/Mass Digitization, Monday, March 10, 2014 at the Library of Congress in Washington, DC. The roundtable discussion, held over the course of two days, is being held by the US Copyright Office to gather insights for future legislative solutions to orphaned works. Photo: © 2014 John Harrington. 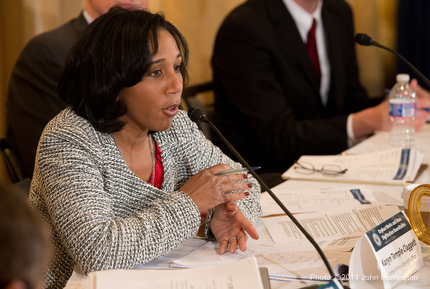 Maria Matthews, manager, Copyright & Government Affairs at Professional Photographers of America makes remarks to remarks during a roundtable discussion on Orphan Works/Mass Digitization as Charles Sanders of the Songwriters Guild of America looks on, Monday, March 10, 2014 at the Library of Congress in Washington, DC. The roundtable discussion, held over the course of two days, is being held by the US Copyright Office to gather insights for future legislative solutions to orphaned works. Photo: © 2014 John Harrington.